What is meant by haulage? Haulage is a professional term for moving large, heavy or hard to handle items. 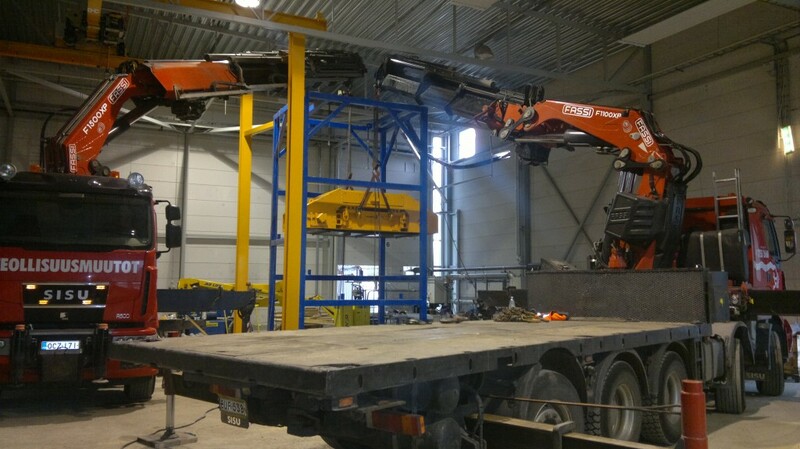 For example, lifting and moving a machine tool from a transport to its final installation site on the customer’s premises – with all the necessary work phases – is a typical haulage project for us..
Our operations are mainly concentrated in the Helsinki metropolitan area, but we are always ready to welcome projects elsewhere in Finland and Europe according to customer needs. Our head office is located in Herttoniemi, Helsinki. What to take into account when planning a haulage operation? No two projects are the same, and there is always much more to consider than just size or weight. 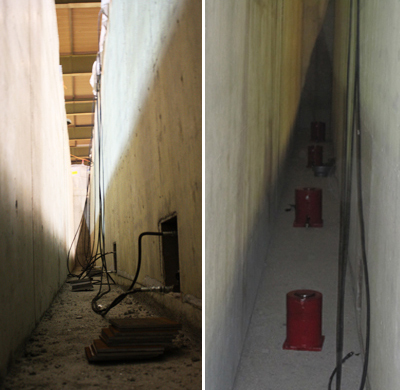 When needed, we will visit the location in advance to determine the safest and smoothest way to implement the operation. We will also evaluate route choices, space and weight restrictions, the project schedule, and possible transport arrangements. Our customers have our expertise at their disposal from day one. How do you manage haulage to upper floors? 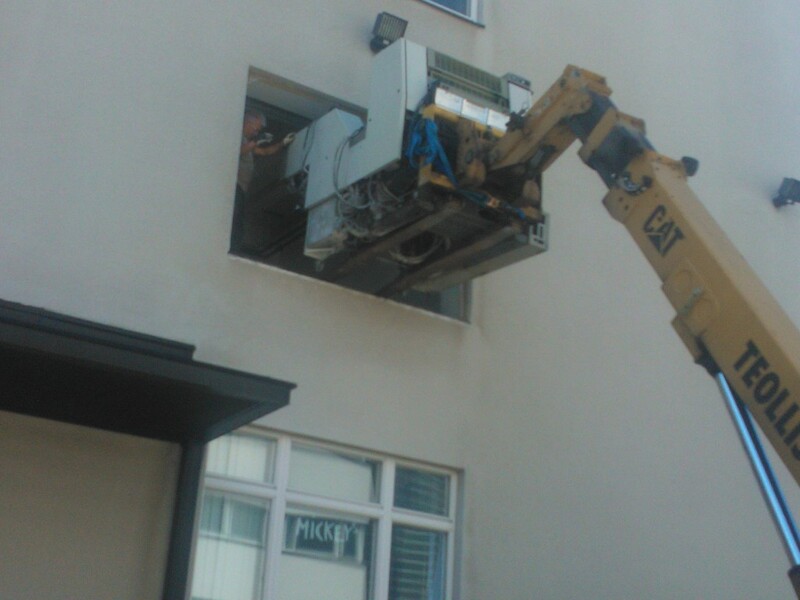 We haul different kinds of machines and devices to upper floors on a regular basis. In these tasks, we take advantage of staircases, openings made in the wall or roof, windows or maintenance routes. The only limits are the building’s structures and surroundings. If there’s a route, we have the know-how and equipment to carry out the project. When necessary we can provide a full coverage insurance for the item being hauled. Are there limits to the weight or size of the item to be hauled? The answer is no. 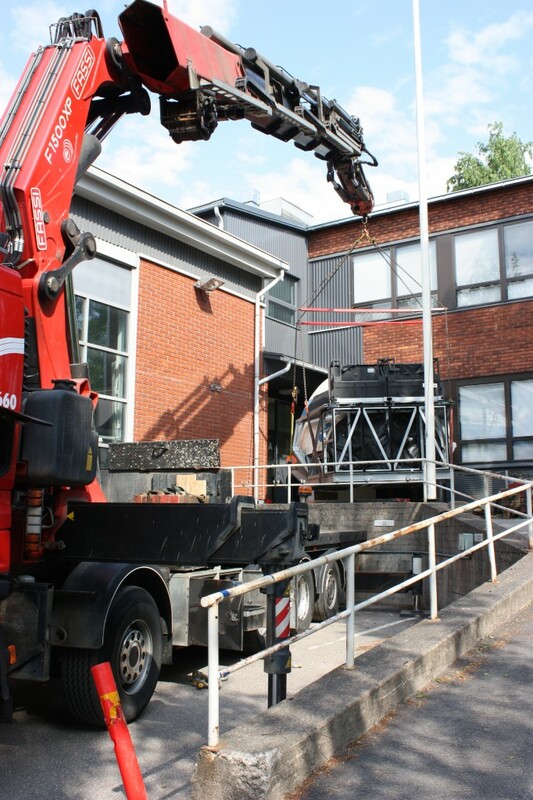 We have hauled everything from a small but invaluable statue to machine platforms weighing hundreds of tons. In practice, however, obstacles may arise in the form of weight restrictions or limited opening dimensions along the route. Do you manage the hauling of fragile items? 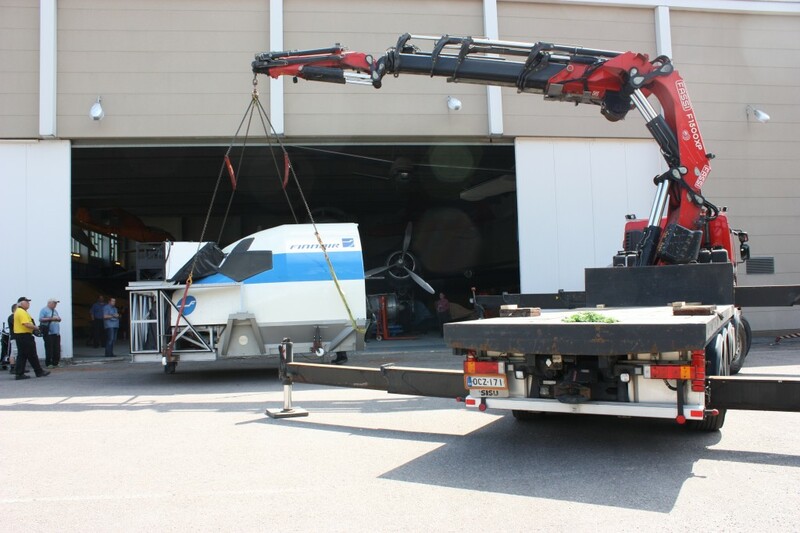 We have several years’ experience in handling the most fragile of items safely even in the most demanding conditions: our customers have trusted us with magnetic imaging devices, laser eye surgery equipment, museum pieces, flight simulator and objects of art. What is hauled with the air cushion transporters? Air cushions balance the load (surface pressure) on a hauling platform. In some locations, this helps prevent damage to floor surfaces. 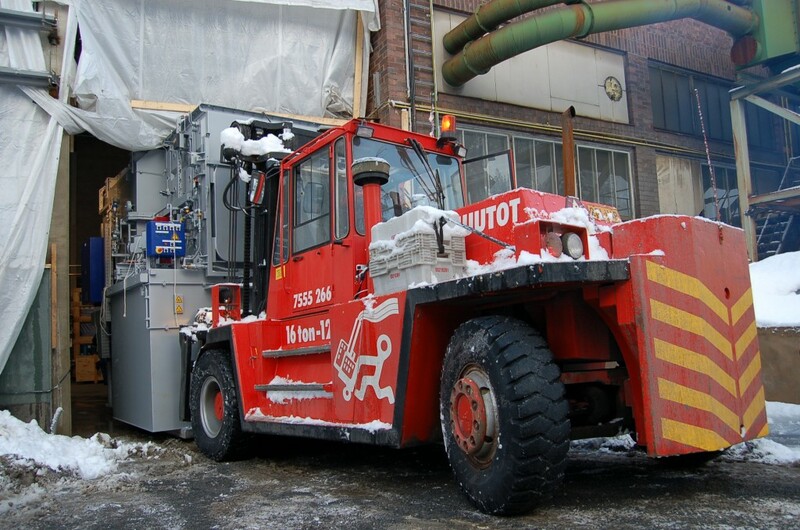 Using an air cushion transporter is advisable when the hauling route is even, the load is heavy and there is enough pneumatic air available (if necessary, generated by Teollisuusmuutot Oy’s own diesel compressor). We build the hoisting solution using a range of modular gantry crane structures, fixed gantry cranes as well as different hoisting beams. The hoisting system is often tailored especially for the job at hand. 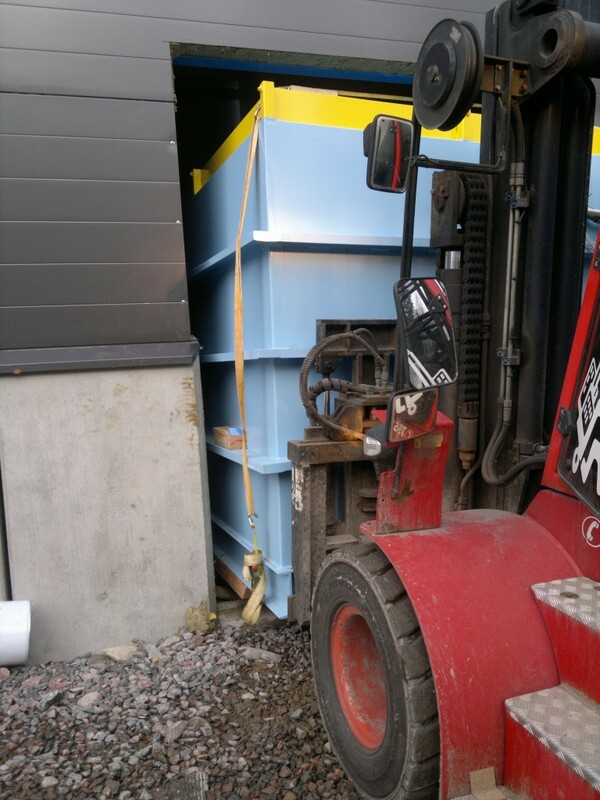 For the hoisting operation itself, we provide a wide range of hand operated and electric winches (with the lifting capacity of a single winch up to 20 tons). Gantry cranes allow us to erect items even in tight spaces. We have a versatile range of hydraulic and pneumatic jacks, including jacking solutions we have developed ourselves. The combined lifting capacity of our most powerful heavy-duty jack series is no less than 900 tons. How do you ensure work safety in demanding conditions? Safety starts with the basics: equipment chosen for its sufficient capacity, duly serviced and approved, and always suitable for the purpose. All our employees have appropriate work safety qualifications. As professionals, they understand the risks and master the safest ways of working. Our safety record is therefore excellent. As a rule, we do not rent our equipment, since our operations are based on specialized equipment and knowhow. Possible equipment rentals are always decided case by case. Do you handle office moves? Office relocations, forwarding, long-term storage and packing services are tasks we carry out and coordinate in connection with other projects as agreed with the customer.